For the Marcelli sisters of California wine country, the season is ripe for romance! 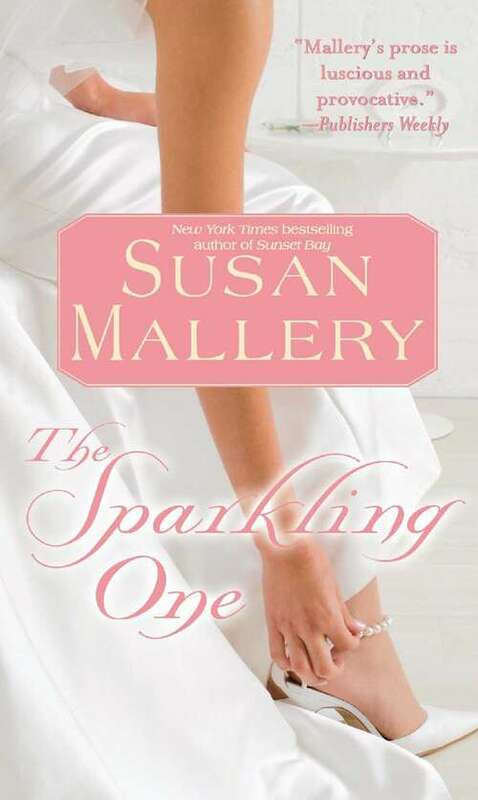 THE SPARKLING ONE A party planner extraordinaire, Katie Marcelli loves her big, boisterous family -- even when their chronic matchmaking drives her crazy! In the Marcelli household, fine wine and good food are as celebrated as true love, so when her eighteen-year-old sister announces her engagement, Katie promises her the perfect wedding. There's only one hitch: the father of the groom, Zach Stryker, who is adamantly opposed to his son marrying so young. Now, despite her instant attraction to the handsome, arrogant attorney, Katie must approach with caution: Zach, who hired Katie for a major fundraiser, holds the fate of her business in his hands -- and how can she trust a man who is willing to break her sister's heart? It will take a passionate battle of wills to determine if wedding bells will ring for a Marcelli bride, and to unlock the deepest desires -- for family, love, and home -- inside a strong-willed man's heart.